Wrapping up the first week of Ultimate 2000s Blogathon is John Rieber who runs a blog under his own name. Over on his site, you can find a lot of the same topics as what we cover over here with posts about books, movies, music, travel and food. Its a one stop site for all the fun things in life. His selection takes up into the tale-end of the decade to look at 2009’s fantasy drama film Enter The Void. Argentinian Director Gasper Noe makes tough, provocative films, most notably “Irreversible” from 2003. His next film was the hallucinatory “Enter The Void” from 2009. The film opens with a visual title sequence designed to blast you off on a psychedelic trip that never lets up for 160 minutes. The film is shot from the main character’s point of view. A small-time drug dealer named Oscar (Nathanial Brown) lives in Tokyo with his sister. He is betrayed by his best friend one night in a bar called “The Void” and is killed by police. From that moment on, we are swept along as his soul, observing from above the repercussions of his death, seeks resurrection. His spirit glides over the city, watching his sister Linda (Paz de la Huerta), now utterly alone. Through a series of hypnotic flashbacks, we see the bond that formed between them through tragedy, a bond that can’t be broken by his death. “Enter The Void” is creative, powerful filmmaking. It is explicit, violent, and unflinching. Director Noe described his film as a “Psychedelic Melodrama”. Tokyo is seen only at night, with blazing neon and non-stop energy. This film pulsates with a visual style and aggressive musical score that is unsettling, compelling and unlike anything you’ve seen since well, “2001: A Space Odyssey.” That’s because the Director said that the film is inspired by the “star gate” sequence from that masterpiece. This is a brilliant exercise in experimental filmmaking, and while not for everyone, it is a masterful piece of cinema. Thanks to John for this fantastic review. Be sure to head over to check out his website HERE and give him a follow. Remember to head over to Drew’s Movie Reviews on Monday to see the next entry in the blogathon. Our next guest is Riley on Film who takes a look at one of Tom Hanks’ most popular films, Cast Away, a 2000 film that kicks off this decade in a fantastic way. Head over to Drew’s to check out the full review! Our first week of the Ultimate 2000s Blogathon continues with Damien from Riley on Film and the DRP, or The Damien Riley Podcast. Also, along with Darren, he is co-host of the Talking Stars Podcast. Damien specializes in horror film but is always up for discussing films of any genre, as evident by his recent request for me to challenge him with several comic book films to watch. Check out all of his sites to fully experience Damien’s love of film. Tor this blogathon, he explains his love of the Tom Hanks classic, Cast Away. Today is a very special day! Ultimate 2000s Blogathon officially kicks off today! Like previous years, both myself and my amazing co-host Drew from Drew’s Movie Reviews will both be sharing our kick-off movie on our respective blogs. To start things off, it only makes sense to kick off with a Hong Kong action crime thriller called SPL: Kill Zone. Hong Kong movies have always been a big part of my life and while its struggled through some of its content, Kill Zone breaths new life into this genre with its fantastic cast and its surprising how I haven’t reviewed it here yet. 2000s Hong Kong films was a bit of a mixed bag full of some dumb humor, recycled ideas and predictable plot lines. But in between all this, they had some great films with great casts that stood out, maybe even call it a decade of great crime thrillers from Infernal Affairs to Election to this film. Call this something of a comeback film that brought together some big stars as well as welcoming Donnie Yen back to the Hong Kong scene showing that his martial arts has not lost one bit of speed. The starting scene changes the pace of the entire film whether it is with its main inspector, Inspector Chan who takes in the orphaned child and realizes his days are limited or crime boss Wong Po’s release after insufficient evidence which sets off the pressing time limit for Inspector’s team to catch him. Right in the opening moments, we get a good idea of the personality of everyone here. Be it Donnie Yen‘s character Inspector Ma’s first appearance on scene going head to head in the car with Inspector Chan’s team and then their conversation of his past events. While we’ve already seen Inspector Chan and the bond with his team and the quick introduction of each member as Ma Kwan looks at his desk of the team. It shows their character and their role in the movie which brings them to what starts off this film and the vengeful events that start. Kai Chi Liu, Danny Summer and Ken Chang play the three members of this team who are all capable in their own manner and create a balance. The first two of these names are seasoned actors in the business already. Its this bond between the team of five that builds up during the film that makes this film even more valuable as they make us care for each of them. With a competent team, there has to be the other side of the spectrum and Sammo Hung‘s Wong Po does exactly that. Call him the mastermind throughout most of it with each scene very much making his presence known. Sammo Hung, despite his age, also flaunts some impressive martial arts move as he goes head to head in some fast-paced fighting scenes up against Donnie Yen.It helps that his top henchman is a white clad martial arts powerhouse, Jack played by Jing Wu, in one of his first roles. Jing Wu truly shows off his skills especially when his scenes are not a lot of talking but a lot of brutal “execution” for our characters leading into a fantastically shot alleyway fighting scene with Donnie Yen. Nothing beats a crime thriller like having a nice background story to investigate. There is a lot going on here with parallel storylines and investigations that intertwine each other gradually. There is a lot of style here as well. While it embeds its foundation in Chinese astrology, the script itself embeds all these things just like how Seven uses its seven sins. It also has the brutality of films like Election. The fighting scenes are meticulously shot as well as the chase scenes. There is this real sense of what is the limit of ethics and morals of being a police officer when faced with the triad and its ruthless crime boss. Between the team and Donnie Yen’s addition that shows a friction between injecting himself and being accepted. A different person and a different approach gives Inspector Chan’s long time team and Inspector Ma the division that makes this an extra layer to explore in the story. At the same time, Kill Zone also adds in a heavy dose of Chinese belief in karma. SPL: Kill Zone is a one of a kind action crime thriller. It defines its genre so well in what makes Hong Kong films so worth watching. 2000s brought about a new wave of crime thrillers that gave itself a lot of twists and intertwined plots that gave it so much more depth. Whether its for Donnie Yen or Sammo Hung or Simon Yam, no doubt the more known actors here, this film gives it a nice blend of impressive fight scenes, brutal almost execution moments, and a thought-provoking themes about morals and ethics as well as choices and karma. Its fast-paced and ramps up its intensity with each scene and its frictional moment between its characters making it such a joy to watch over and over again. Announcement: Ultimate 2000s Blogathon! Sign up now! 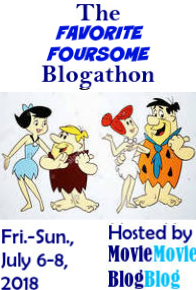 WELCOME TO THE 4TH ANNUAL ULTIMATE DECADES BLOGATHON HOSTED BY MYSELF AND DREW’S MOVIE REVIEWS! We’ve gone through the 70s, 80s and 90s in the past three years. For our 4th year, we jump forward to the 2000s. This blogathon is all about your ULTIMATE, Favorite films released between 2000 to 2009. Like any other year, you ask why 2000s, right? Other than the fact that you might have noticed our pattern at this point. The millennium brought some fantastic films. It might not be any choices that quite classify themselves as classics yet for you but there are definitely some signature movies that not only define the decade but also brought to light some great directors, intriguing stories and brilliant actors and actresses. We sure have a few in mind. For example, if you like teen movies, Mean Girls is one that is great. In terms of foreign directors, Guillermo Del Toro landed on everyone’s map with Pan’s Labyrinth and Hayao Miyazaki and his Studio Ghibli began highlighted with Spirited Away being part of the Oscar game joined by Ang Lee coming on the scene with Crouching Tiger Hidden Dragon. The Lord of the Rings franchise also was released throughout this decade and of course, James Cameron came around and delivered us the innnovative 3D experience that has kicked off a whole new 3D phase with Avatar. We also can’t neglect to look at some memorable Pixar titles that came to light: Wall-E, Finding Nemo, Up, The Incredibles. Christopher Nolan and Quentin Tarantino also released so great films like Memento which kicked off the decade and Kill Bill Vol. 1 respectively. Before we go away, let’s give some more variety from outstanding zombie films like 28 Days Later to wonderful indie films like Juno and Little Miss Sunshine. Look at all those great titles! Suffice to say, its really only scratching the surface. There are a ton of choices other than these ones that I’ve probably not mentioned and available for everyone to choose from. What 2000s film is one that you can watch over and over again? Which made an impression on you? Or maybe for some of you younger bloggers out there, you might have even grown up with the 2000s film. Blogathon kicks off on February 18th! Welcome all to join in! We’re looking forward to your choice and submissions. 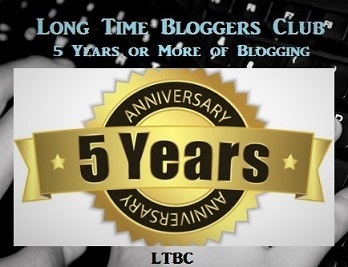 Feel free to use the banner above to show off on your sites. Also, if you know anyone that you think would be interested in joining into the blogathon, please do spread the word. The more the merrier!